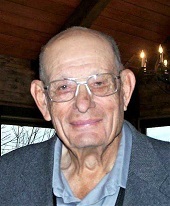 Lyle Smith, 89, Bronaugh, MO passed away on Sunday, March 17, 2019 at his home in Bronaugh. Lyle was born September 5, 1929 to Harvey and Nora (Maynard) Smith. On July 2, 1948 he was united in marriage to June Allene Miller in Nevada, MO and she preceded him in death on December 24, 1918. Lyle attended school in Lamar and graduated there. He worked for a time in Lee Summit, MO at the General Motors factory building Chevy cars. He then moved to Oregon and worked at Forest Fiber Products until his retirement. At that time he relocated to Bronaugh to pursue his interests in ranching, and hunting. He was a member of the Church of Christ. Survivors include one daughter, Barbara Ray, Bronaugh, MO; one son, Lynn Smith, Lamar, MO; three grandchildren, Stephanie Ayers (Marvin), Sheldon, MO, Phillip Ray (Kelsey), Bronaugh, MO, Jennifer Dupont (Chris), Thornton, CO; and 10 great-grandchildren. In addition to his wife June he was preceded in death by one grandson Jeff Ray; two sisters, and three brothers. 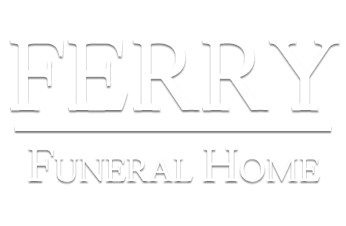 The family will receive friends at a visitation service on Thursday, March 21, 2019 from 5-7:00 p.m. at Ferry Funeral Home in Nevada. Private graveside services will be held at a later date.